First (State) things first this Friday: Two Stones Pub in Newark (2 Chesmar Plaza, 302-294-1890) notes gluten-free items on its menu and serves four different gluten-free beers. Thanks to reader Lindsey T. for the tip. In Manayunk, the Tomato Bistro (102 Rector St., 215-483-2233) also IDs gluten-free items on its menu - primarily salads. Carola Family Pizzeria in Woodbury Heights (564 S. Evergreen Rd., 856-579-4844) serves gluten-free pizza, pasta and other items that are prepared using dedicated cookware and utensils. Marathon Grill's location at 10th & Walnut Streets in Center City is closing, while the spot at 13th & Chestnut Streets has already closed. If you missed Tuesday's post, you can read my review of modern Mexican restaurant Distrito at this link. Coming this month to Wayne is So Fun! Frozen Yogurt (315 E. Lancaster Ave., 610-707-3597), offering 60 flavors of frozen yogurt, with a rotating selection of 16 featured daily. Most flavors are gluten free. The store will regularly offer at least one no-sugar-added flavor and one flavor for the lactose intolerant customer. The deadline for ordering gluten-free holiday treats from Sweet Freedom Bakery (1424 South St., 215-545-1899) is December 21. Seasonal items include mint-frosted cupcakes, vanilla snowballs and holiday Magic Bars. Readers may remember Butterfly Bakery's gluten-free cakes, muffins and cookies, which were briefly sold at Wegmans last year. Well, they're back. 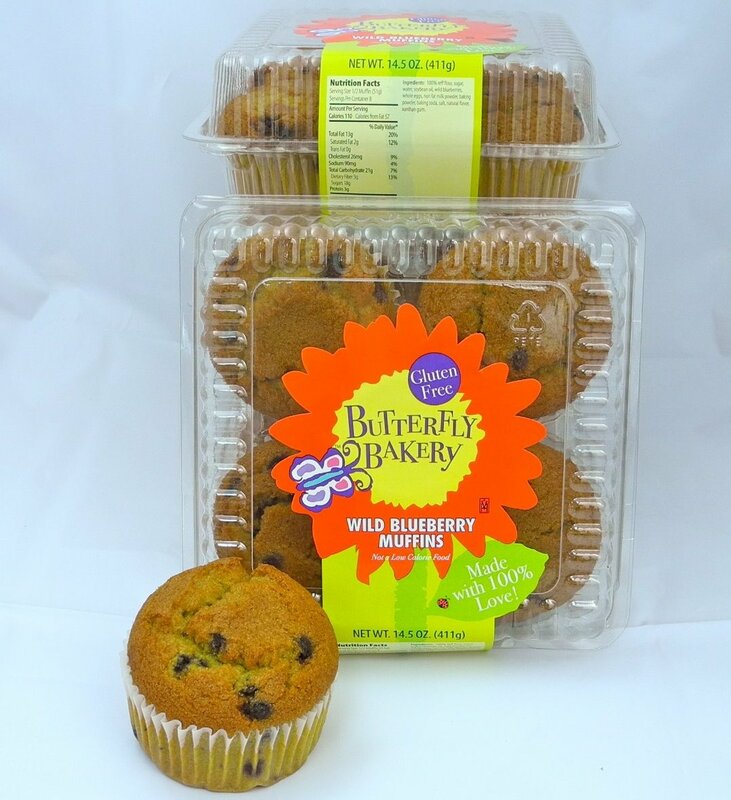 Made in a dedicated facility, those products - along with mini cupcakes and muffins - are sold online at Amazon.com. If your local market carries the bakery's sugar-free products, ask the store manager to order the gluten-free sweets. DeLiteful Foods in Lawrenceville (4110 Quakerbridge Rd., 609-799-7756) will host a sampling of Italian-made Agluten pastries and shelf-stable breads tomorrow from 11 a.m. to 3 p.m.
Join "Gluten-Free Warrior" Genevieve Sherrow on Saturday, January 14 at COOK (253 S. 20th St., 215-735-COOK) for a collaborative class on gluten-free baking. Genevieve will teach you how to prepare treats like Old Fashioned Gingerbread with Homemade Whipped Cream, Pumpkin Oatmeal Cookies and The Warrior's Jewish Apple Cake. The class fee is $95 and online registration is available. Great products you have! Thanks for the information especially the gluten free sweets that I can find! Can't wait to try them out!